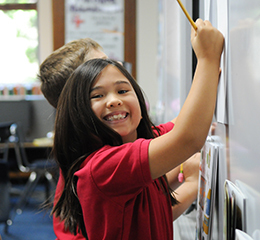 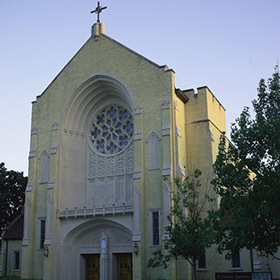 St. Thomas Aquinas catholic School is centered in spirituality, prayer, and devotion to living the Gospel message. 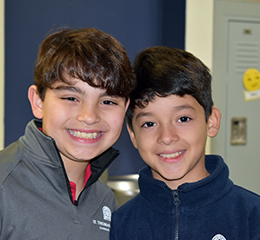 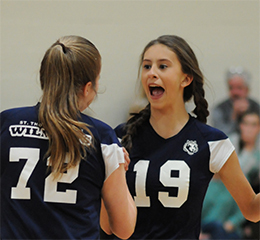 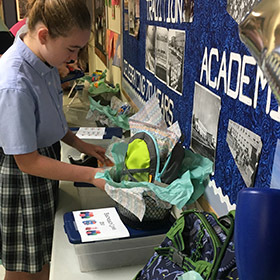 Our Catholic identity is woven into everyday life at school through the active involvement of students and the support and example of parents, administrators, teachers, staff, and alumni. 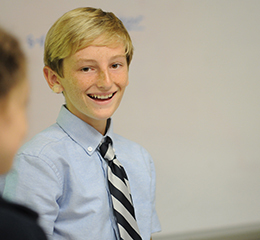 Students take an active part in the liturgical celebration as readers, altar servers, and choristers. 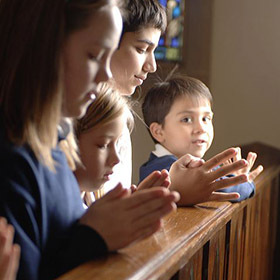 Each day begins and ends with a prayer. 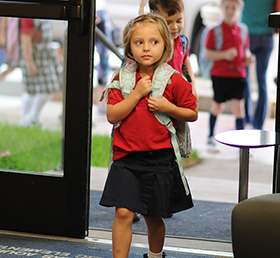 Students go to Mass (1st-8th grade) or a Prayer Service (PK-K) once a week by grade level. 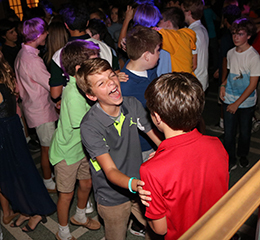 The 3rd-8th grades attend Mass together on first Fridays and students at both campuses attend Mass on Holy Days of Obligation. 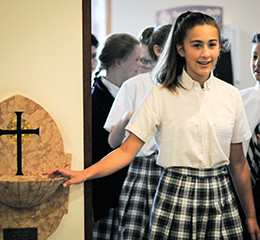 Students also participate in recitation of the Rosary, receive the sacrament of Reconciliation, reenact The Living Stations of the Cross, and celebrate Feast Days such as Feast of St. Francis of Assisi with the Blessing of the Animals, May Crowning for the Feast of the Blessed Virgin Mary, and All Saints' Day.